The cards we are going to review today are more affordable and less performing than the recently examined RADEON HD 5870. Still, they have all the features of the latter. Welcome RADEON HD 5770 and RADEON HD 5750. The next obvious step after releasing new high-end solutions for the HD 5800 series was to launch mid-end graphics cards. 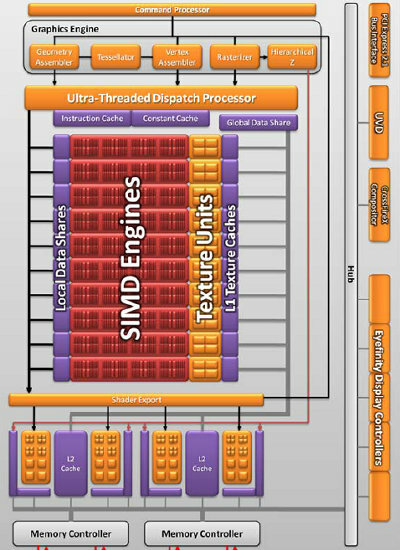 The announcement of HD 5750 and HD 5770 didn't come as a surprise, especially as AMD had provided a roadmap. We had no reasons to rush this review, as we had already examined the new architecture. Besides, HD 5700 cards have gone on sale only recently. We'd like to remind that, designed for the top price range, HD 5800 cards are quite expensive these days. This can be explained by the lack of new graphics cards from NVIDIA and by the deficit of these solutions in the market. This deficit is only partially explained by high demand for RADEON HD 5800 cards, which are really competitive by the way. A part of the blame goes to manufacturing problems. TSMC just cannot produce as many 40nm products as the market needs. But it should improve with time. NVIDIA will also launch its cards, and then AMD will probably cut prices for its solutions. Today we are going to examine the cards from the RADEON HD 5700 series. Their technical features and prices are similar to those of the HD 4800 series (at least for now). Small wonder, as the previous top GPU from AMD was designed for solutions of the medium price range, while Cypress, the latest fastest GPU, is larger and consumes more power. Besides, HD 5700 shouldn't be more than twice as slow as company's top-end GPU. We assume you are already familiar with the previous architectures from AMD. Now we'll examine specifications of the recently announced RADEON HD 5700 graphics cards based on the new GPU codenamed "Juniper" (RV840). Unified architecture with an array of common processors for streaming processing of various data types: vertices, pixels, etc. 10 SIMD cores, including 800 scalar floating-point ALUs (integer and floating-point formats, support for FP32 in compliance with IEEE 754, no FP64 support). 10 enlarged texture units supporting FP16 and FP32 formats. 40 texture address units and just as many bilinear filtering units that can filter FP16 textures at full speed, trilinear and anisotropic filtering for all texture formats. 16 ROPs supporting antialiasing with programmable sample patterns (over 16 samples per pixel), including FP16 or FP32 formats of the frame buffer. Peak performance is up to 16 samples per cycle (including FP16 buffers), 64 samples per cycle in Z only mode. 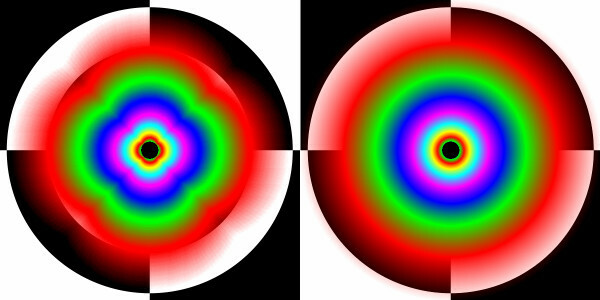 Writing results up to eight frame buffers simultaneously (MRT). Integrated support for RAMDAC, six Single Link or three Dual Link DVIs, as well as HDMI and DisplayPort. Theoretical texture sampling rate: 25.2 gigatexel per second. AMD uses the most advanced 40nm process technology (although still too complex, as far as effective yield is concerned) to roll out mid-end solutions that match previous top HD 4870 in performance. These GPUs have similar complexity, but the new chips are much smaller. Almost all characteristics remain on the level of RV770 (except for the memory bandwidth). The new GPU is certainly more power-efficient, and the new cards consume relatively little power. The naming principle hasn't changed. The first digit has changed relative to the previous series. RADEON HD 5770 and HD 5750 are designed to replace HD 4870 and HD 4850. Plus the ill-fated HD 4770, which was the experimental product to master the 40nm process technology. As not all problems of the new process technology have been solved, some cards from the previous generation remain in stores, drifting to lower price ranges. As is always the case with AMD, two modifications differ in GPU/memory clock rates. In this case the cheaper product also has fewer active execution units. That ensures a bigger performance difference, and lets use defective chips for its production. But that's not all. Although both modifications are equipped with GDDR5 memory (so that performance is not limited by memory bandwidth), the cheaper product has two modifications that differ by memory volume: 512 MB and 1 GB. Such cards as HD 5750 do not always need one gigabyte of local video memory, and this memory volume does not let reduce its price down to $100. Although modern games require high memory volumes, 1024MB of memory being the optimal amount for most games, and 512MB being not always sufficient for some applications, it's the correct solution for the HD 5750. Especially as no one cancels the more expensive modification. The low model also features a different PCB design and a different reference cooler. The HD 5770 uses the same cooler as the HD 5850 and 5870, but the HD 5750 comes with a simplified cooler. However, it also takes up two slots, and the card consumes only a little less power. We have already reviewed the overhauled RV8xx architecture codenamed TeraScale 2 in the previous article. Juniper differs from Cypress mostly on the quantitative level. All parameters of the new GPU are halved: computing capacity, texel rate, ROPs. It corresponds to the top RV770 in these characteristics. Probably that was the intention of its engineers. The main part of the RV840 chip consists of ten SIMD cores (just as many as in the RV770), each one containing 16 blocks of superscalar streaming processors. The superscalar nature of these processors hasn't changed since RV670. According to AMD, the GPU contains 10*16*5=800 scalar 32-bit streaming processors. All features of the GPU remain the same. Except for one important feature that has to do with GPU computations. As you may remember, the same units are used for 64-bit computations of double precision in previous GPUs, but the computing rate drops. However, according to official specifications published on the AMD's website, the RV840 Juniper does not support double precision calculations. Is it bad or is it possible to do without double precision in relatively inexpensive GPUs? That's not very good for GPU computing, of course. It's always useful to have identical features for all GPUs for any price range. On the other hand, if it helps cut down manufacturing costs and prices for end users, it really makes sense. Even single precision is rarely used in domestic GPGPU tasks, to say nothing of double precision. So, relatively many stream processors in combination with the other modifications (the increased number of instructions executed per cycle, MUL and ADD execution per cycle, a new instruction Sum of Absolute Differences) give the RV840 high performance in single precision computing (both generic and graphical). You can read about the other changes in TMUs and ROPs in our Cypress review. The new solutions now support supersampling to antialias not only polygon edges, but also textures, and pixel shaders, which improves the overall render quality. The new mid-end GPU possesses the same memory controllers of GDDR5 memory, which were optimized in the RV8xx architecture. On the whole, everything is just like in Cypress, except for the relatively low video memory bandwidth, which may be the bottleneck of the HD 5700 series. However, the 128-bit bus also makes sense, as the GPU surface has been reduced, and it's of paramount importance for AMD to provide low manufacturing costs. And GDDR5 memory bandwidth with a 128-bit bus is actually sufficient for such graphics cards. However, in some cases we can expect this card to be outperformed by the HD 4870/4890 with significantly higher memory bandwidth provided by the 256-bit memory bus.